Mud-Lite XTR takes it to the next level with traction without giving up anything in ride quality! The XTR results from some of ITP's most extensive research and development efforts. 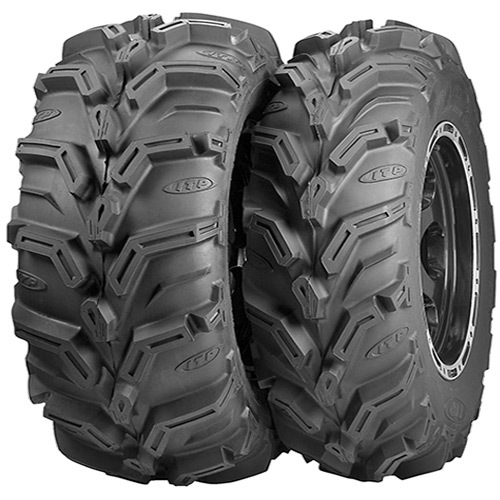 The tire combines the award-winning technology of the Mud Lite and aggressive 589M/S to produce one of the smoothest, yet aggressive mud tires on the market today. XTR's are great for the combination of aggressive trails and mud applications. Radial construction means the Mud Lite XTR rides smooth and finds more traction than a bias-ply tire because of a larger contact patch. A radial tire's footprint actually grows under load! Its simply a tire you can take off road, but yet will ride nicely on the trails! XTR's fit two sizes of wheels! The 12-inch option is ideal for primarily muddy conditions, offering better flex and more flotation. The revolutionary 14-inch model is an excellent all-around trail/mud choice, with its lower-profile sidewall resulting in reduced flex and a dramatic improvement in handling and rider confidence. Radial construction means the Mud Lite XTR rides smoothly and finds more traction than a bias-ply tire because of a larger contact patch. A radial tire's footprint actually grows under load! The XTR's have a flatter form than the Mud-Lites, providing more traction where you need it most; the ground!